FLG: Hi Jake, firstly thanks for agreeing to answer some questions on DreadBall at such short notice. JT: You know me Jody. Always happy to burble on about gaming. Ah yes two teams lined up and ready to crack skulls... and maybe score a goal or two! FLG: I do indeed! So straight down to the questions, I’ve got to ask about the elephant in the room that is Blood Bowl. I said to you on the initial play test day that it’d be brought up straight away. I know DreadBall isn’t Blood Bowl, but can you set out in your own words why it’s different and why people should judge the game on its own merits? I think games, books, films, and people all deserve to be judged on their own merits as that way is both fairer to them and means you often find all manner of intriguing options that weren’t obvious from the first glance. 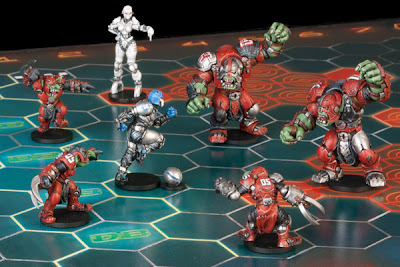 Pontificating aside though, DreadBall was intentionally nothing like BB from the word go, with the obvious exception that they are both board games about fictional sports. Speed: DreadBall is a much, much faster game than BB. You never reset the teams when people score, never stop for half time, and never pause in the action. Once the klaxon goes to start the match, it’s non-stop action and everything evolves at a frantic pace. What this means in play is that unlike BB where teams can take several turns to execute a scoring play, you’re constantly having to adapt and think of new ways to deal with a rapidly evolving situation. Actions: Resource management is key in DreadBall. Each turn you have 5 team actions with which to control your players, but you have 6 players on the pitch so who doesn’t get to go? Also, you can double up actions on individuals, meaning more players miss out. With only 5 actions a turn (called a Rush in DB) and 7 Rushes each a game, you have to make every action count. Of course, there is a bit more to this with the potential for free actions, cards and whatnot. But that’s the core puzzle. 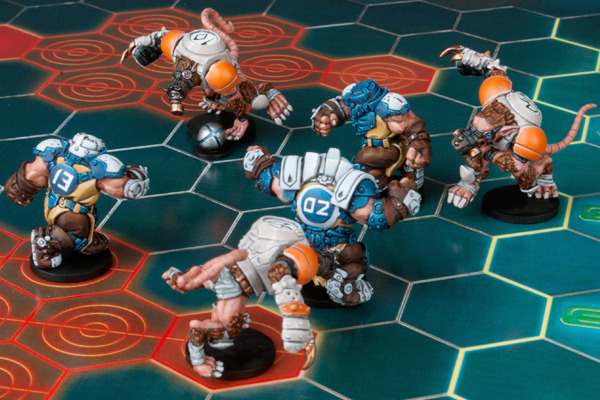 Simplicity: DreadBall is built up from a series of very simple building blocks. Each is easy to remember individually, but the combination allows for a great deal of tactical depth. One of the common comments I hear from people after their first game (apart from “can we play again”) is that they were surprised that such a simple game could have that amount of depth. The extra MVP's have just rolled in one after another. FLG: I personally have really enjoyed playing DreadBall throughout the playtest period and there are a number of things about the game that I personally really like, the main thing being that the game doesn’t re-set, so you are constantly having to think about attack and defence at the same time whether you have the ball or not. In most fantasy sports games that’s not the case. Did it pose you any design issues? JT: This was the core feature of the game, and one that I’ve been working on for my own amusement for well over a decade. I started with the question of how to get the speed and ferocity of an ice hockey play into a board game, and went from there. It’s been a pet project of mine for ages, and so being able to develop it into a fully-fledged game has been great. Design issues? Oh yes, there were many. However, I’ve been kicking this one about for so long that by the time I started on this as an official project for Mantic I already had the whole movie in my head in 3D IMAX, so it was way easier than it would have been coming to it cold. FLG: You’ve obviously had quite a good relationship with Mantic in the recent past, what with the Dwarf Kings Hold games and Project Pandora. However, I really get the sense that Mantic have taken some of the shackles off with this game, and allowed you more freedom to create your vision. So is DreadBall shaping up how you imagined it would? Or has it taken on a bit of a life of its own? JT: Games always have their own character, and part of learning and improving as a designer has been (for me) learning to listen to them. Before you put me in a padded room, what I think is actually going on is that my increasing experience gives me a better sense of intuition about what will and won’t work, and listening to the game is really paying attention to the niggles at the back of my mind. I’ve learned to my cost that if I have a niggling doubt about something then it needs changing before it goes to press, as it will almost invariably blow up afterwards if I don’t. Of course, I don’t always get my own way, but I do mostly, and that’s loads of fun. Even when I don’t get to do my initial idea we usually end up with something even stronger by kicking things around for a bit. For example, the last 2 teams. 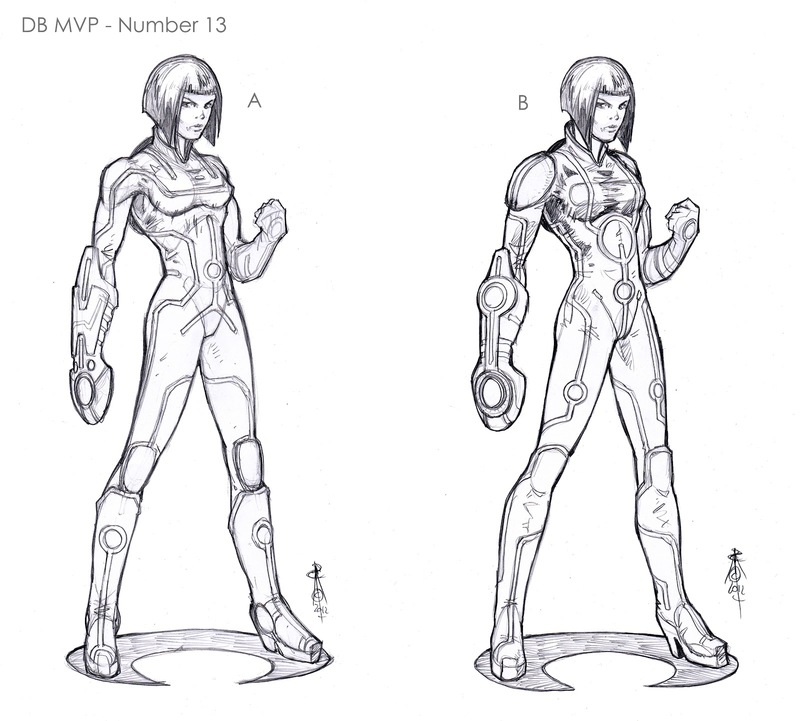 I’ve also been influenced by the concept art and by discussions and ideas on my blog and other forums. FLG: Something I’ve noticed about all of your games recently, including those none Mantic Games, is that you really like to strip games down to the bare bones. Although DreadBall is a streamlined game, and in no way flabby, I’d say it’s actually got more to its core than we’re used to seeing from your recent stuff. Is that how you see it? If so why have you gone down this route for DreadBall? JT: I’m all for paring things back as far as possible as my crumbly old brain doesn’t want to bother with fiddly rules any more. I don’t really see DreadBall as being different in this regard, though it’s always harder to tell from the nose-to-the-detail distance I’m currently at. Ask me again in a year and I’ll have a better perspective. 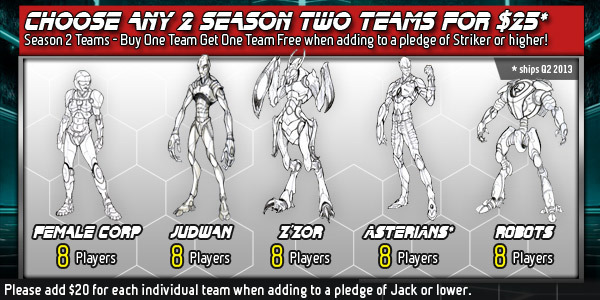 The Season 2 teams for your shopping perusal!!! JT: Hmmm… tricky. You are right, of course. I’m probably going to have to go with a feeling rather than a specific mechanic, though there are several that I really like. The feeling is the speed and dynamism which I think has come through really well, and which I was aiming for from the beginning. To keep that I’ve binned all sorts of details, and I think that this ruthlessness has really paid off. FLG: Moving away from the rules side of things, what do you think about the relative success of the DreadBall Kickstarter? Is it more or less successful than you thought it would be? Has Ronnie being doing a jig? JT: I really had no idea how well it would do, and still don’t (finishes on Sunday!). Every time I think about it I start with one number, flit off to another, drift sideways to a compromise and then move on. I’ll be happy with whatever we get, and then wish it had been more. Wouldn’t you? This concept art has got a lot of people excited... not just Ronnie! FLG: In a way I guess it must be bizarre seeing your product in effect be a commercial success before the great unwashed masses have had a chance to get their hands on it. It’s part of the weirdness of crowd funding, I’ve described it a bit like buying a house off plan. So are you glass half full kind of guy who thinks it’s all gravy, or are you glass half empty guy who is now worried about what all these backers are going to think? JT: There is always a slight nervousness about releasing a product, that perhaps you have missed something and the dire flaw will be revealed when the first customer touches the shrinkwrap. However, DreadBall has gone through such extensive playtesting (not least of which by your good self) that I’m probably the least worried I’ve ever been. There’s still the slightest of trepidatious niggles, but only little ones. 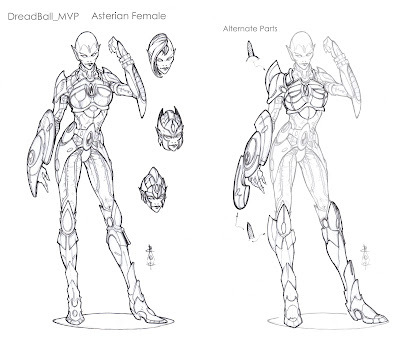 FLG: The success has allowed Mantic and you to really develop the DreadBall product line far beyond what I guess was initially envisaged, I’m thinking primarily of the MVP’s and Season 2. 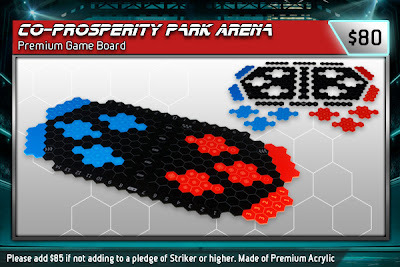 Or that’s how it appears; seriously how big an impact has the Kickstarter had on fleshing out the vision for DreadBall? And could it have been achieved any other way, or was crowd funding vital? JT: My vision for DreadBall was always the 4 step set: DreadBall, Season 2, Ultimate and Xtreme. Like Dwarf King’s Hold before it (and everything else I work on) I tend to work out the whole meta view while I’m dealing with the brief and so on. That way I can divvy up cool ideas into their appropriate places, and know how the thing will develop. It’s like planning a novel – the individual box is just a chapter and you need to have at least a fair idea of the whole thing before you finish any one bit. I think knowing when things need to expand and when you should stop is all part of good design, and it’s a shame to see too many games spoiled by entirely unnecessary expansions. It’s all very well saying you can play without them, but people don’t. Knowing when to stop is like learning to murder your darlings and is a core design skill in my book. However, just because I knew what I wanted to do doesn’t mean it would happen without the input from the Kickstarter pledgers. DKH, to return to that example, is still waiting for the 4th box I said I wanted to do originally. It may happen eventually (next year, hint, hint), but would have been nice to have arrived sooner. DB looks like being luckier in that regard. 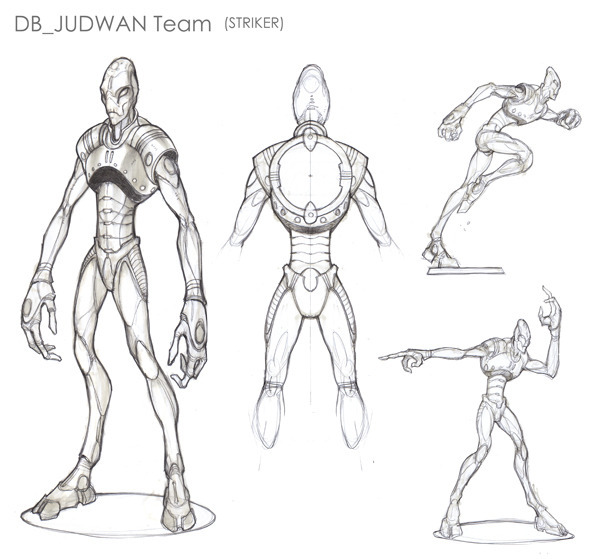 I'm liking the idea of the Judwan... I'll have to get them eventually!!! JT: I hope so. The wackier you go the more of a hard sell it is, and this is true of me selling the idea to Mantic as well as them getting it concepted, it being sculpted and everyone “getting it” when it’s released. If I want an elf team then that’s not hard to explain or for people to draw, sculpt and so on. When it comes to aliens like John Doe, for example, that took a bit more work. Several other concepts have ended up on the cutting room floor, not because I don’t think they are cool but because they may have been too wacky. Still, Xtreme has room for all manner of oddments, so expect to see even weirder stuff in there (and there’s plenty already to come in Ultimate). This is one fantasy trope in space I'll forgive... for now! 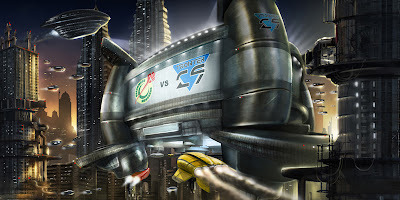 FLG: I have to say of the initial four teams I have a firm favourite both stylistically and in terms of play style, and that’s the Corporation / human team. 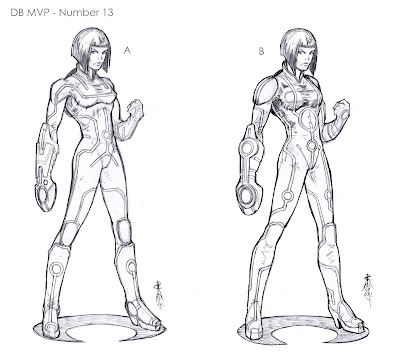 So who so far are your favourite team visually, and who are your favourite team to play as? 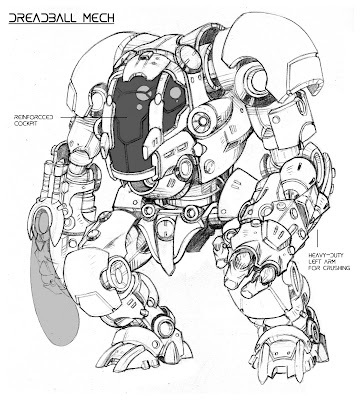 FLG: When you visualized DreadBall as a product in your head how close was it to what we’re starting to see filter through from the Kickstarter? FLG: As with all crowd funding projects it seems, there are a plethora of add-on sales. I personally am really horning after the acrylic pitch… probably because it’s the most sodding expensive thing… and… I know how worn these sorts of card pitches can get after repeated use. But looking down the list of add-ons are there any that get the geeky gamer in you excited? JT: I think I’d have to agree. There are loads of cool models, but I think that the pitch and the dice stand out partly because they aren’t models. If I had more time I’d also be tempted by the HDF pitch as that is plain and just begs to be painted in some team specific fashion. I’m looking forward to seeing what people do with them once they’re out in the world. I fully expect to see some nicely themed pitch/team/cheerleader/coach/etc combinations over the next few years. In fact, if I’ve got anything to do with tournaments I might suggest including that sort of things in the prize categories. FLG: What are Mantic’s plans and hopes for the game? Do they envisage this being a sort of tournament type product, something that they can run with and support long-term? Or is it something they’re hoping fans of the game will pick up and run with? After all there’s a fairly famous fictional sports board game that was unceremoniously ‘dumped’ for want of a better word. JT: From my experience with other games, I think the games that are most successful at keeping a vibrant and enthusiastic following are those that marry a lively fanbase with a company that is willing to support it. Blood Bowl used to work like this, and still has a passionate and loyal fanbase, which is great. I’ve been to many BB tournaments over the years and the fans are a really enthusiastic lot. 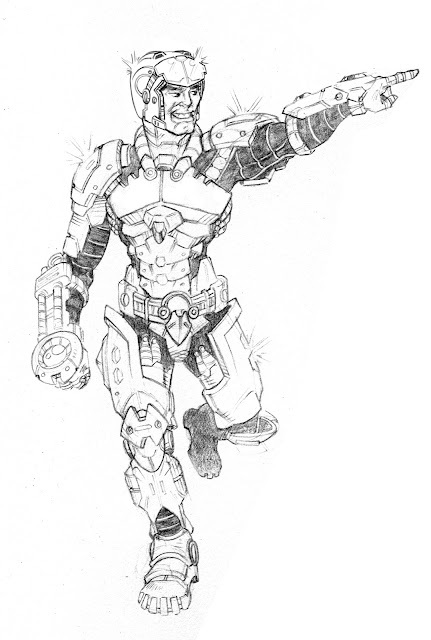 If DreadBall has a following half as passionate it will be a major success. The difference with DreadBall is that my blog will continue to deal with it and I’ll continue to answer questions, and Mantic will continue to produce the games and models as long as people still want the game. It’s not in any danger of being ‘dumped’. FLG: So I guess we’re running out of time now, so I’ll ask you a really simple and obvious question. In your own words why should people back the DreadBall Kickstarter, and funding a personal holiday to the Bahamas for your wife and you isn’t a legitimate answer! JT: Well firstly, because it’s a great game! Secondly, because it’s a Kickstarter, you’ll get loads more for your money than you will if you wait till it’s out in the shops. That kind of thank you to pledgers is how Kickstarter works, and why it is good for both companies and customers. Have a look at what you get for you pledge – it’s getting crazy-good now. Thirdly, because DreadBall is going to be really big, and it’s a chance to get in on the ground floor. I’m expecting to see leagues, tournaments and all manner of online goodness judging by the people I’ve been talking to already. There’s lots of enthusiasm for the game from Mantic, the Kickstarter pledgers and on all manner of blogs and forums – not to mention my own burblings. With a series of expansions to come next year, loads of cool models and a bunch of events, I think the excitement is just going to keep on going. FLG: Well thanks for taking the time to answer my questions, the DreadBall Kickstarter is currently up to $493,801's and still going. 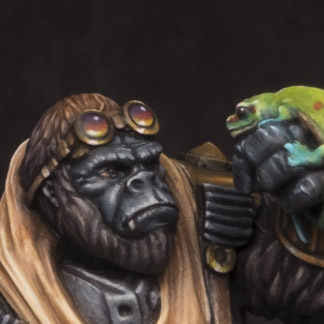 It has three days left to run so you should check it out, you should also Jakes own Blog, Quirkworthy, not just for his DreadBall articles (although those are interesting) but for his general perspective on the hobby. Peace out! Well I thought being as though I chat to him fairly regularly I should actually get round to putting some of the nonsense we talk about in print so to speak. The DreadBall Kickstarter seemed like as good a reason as any. Nonsense? Surely not. I'll have you know that I only speak the finest quality blither, harvested by nubile Tahitian princesses from the wild blitherbushes of their island homes. Judging by conversations I overhear on the tram, I don't think we are alone there. Oh good God no. As a nation the vast majority of conversation on this little island of ours are, I'm sure, complete and utter nonsense. Nobody does nonsense quite like us British, we've made entire industries out of complete and utter nonsense!!! I'm really glad you enjoyed it Paul. It's always good to get the chance to talk to the people behind these games, so when I do I try my hardest to turn them into interviews for others to read. I admit DB excites me in ways that BB never did. I would like to play a game or two before I'm forced to hand over my hard earned readies. I can totally understand why you'd want a demo game first though. As I said in the interview I think, backing a Kickstarter campaign is kind of like buying a house off plan. You sot of know what you're getting for your cash, but not quite!!! Great interview FG Jakes a lively chap and although you're right it's got a bit more beef to it than his other games I think I see more than enough of his trademarked stripped down style. I resisted for ages but then there got a point where I could get 4 teams and my will vaporised like creme brulee near my wife. 2013 is gonna be awesome going to have so much Mantic Kickstarter stuff to paint. The delvers are mine I'll share the others with all my friends but the Delvers are MINE. @Minitrol, I think the reason so many people love BB is because unlike their other games they actually got round to playing a serious amount of Blood Bowl. At my uni's gaming evening I'd easily fit in 2 or 3 games a night if playing experienced gamers. It's in its ability to get lots of people together in one place and playing games that it excels in many peoples minds. Is BB as good as people remember it? Nope I'm not so sure it is. It had balance issues and holes. Plus once leagues really kicked in the handicap system did NOT work. As to DB, I actually happen to have seen a PDF of what I assume is the almost final rules. Hand on heart there are more individual rules and mechanics than DKH, PP and ToL... not quite put together mind. Yeah it's still a pick up and play / easy to learn game, with zero flab, but still its more involved than Jake's recent games. Neither a good nor a bad thing if you ask me, it just feels that with this game Jake had far more he wanted to include than normal. Glad you've ordered a copy... and Jake's right, it is a good analogy! Yeah my friends all laughed at me as I kept saying not sure I can afford it then i fessed up that i had backed and they were all dude we knew you were backing it you've done nothing but email us links and share it on Facebook for weeks! Being transparent is a handy skill to have... especially if you're in the special forces... or planning on sneaking into the girls locker room!! !